My 2016 Wild Light Photography Workshop in the Outer Hebrides was fully booked and once again the weather was kind to us! The beaches of Harris and Lewis are a feature of my October workshop in the Outer Hebrides. The constantly changing light and pale pink sands make Hebridean beaches such as those at Luskentyre and Seilebost amongst the best in the world for seascape photography. As always, my Wild Light Photography Workshop in October was a lot of fun. 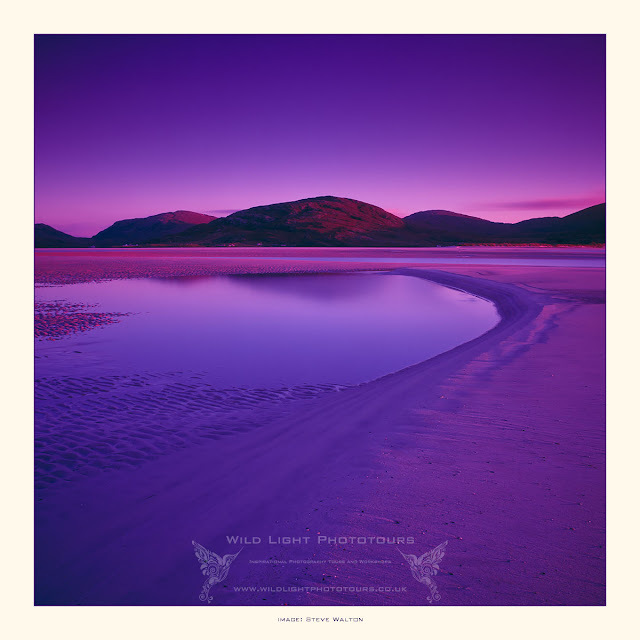 I have posted a series of Hebridean beach images from the tour on my landscape photography website. All were made with the Hasselblad 503cw and Fujifilm Velvia 50 with Lee filters. I will be leading another Wild Light Photography Workshop on the Isles of Harris & Lewis next October. Please contact me for booking details.